One of the more announcements Marc Benioff off made in his Day 1 Keynote was database.com. The news is that Salesforce is now enabling its customers to store their data on their own hardware inside their data centers. There is a need or at least a demand for this capability as many large enterprises and government institutions do not wish to, or are prohibited from, sending their data outside of their four walls. In some geographies they can’t let data cross national borders. So, in Europe for instance that would at least in theory mean a need for a Salesforce data center in each locale. That’s clearly not going to happen so the move to in-house storage makes a certain amount of sense. Nonetheless, this also introduces a new level of complexity to the situation and potentially makes cloud computing less rather than more stable. With more points of physical integration and storage, individual customers are paradoxically, now at their own mercy. If their storage goes down, who do they point fingers at? This certainly takes a little wind out of the sails of the competition who have been hammering on the idea that their solutions are more configurable because they offer on-premise options. That’s getting to be a difference without a distinction. At least and most importantly the software stays in the Cloud where Salesforce can manage and upgrade it. Multi-tenancy lives on and perhaps this concession to storage will bring more people into the fold. Hmmm… storing data within one’s own hardware? This sounds “uncloudlike”. 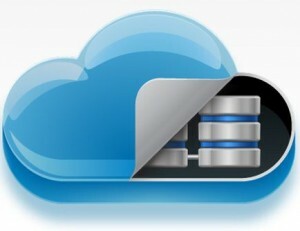 Salesforce’s data storage function is limited according to national policy. I don’t think Salesforce can remedy this. I guess they’ll just have to wait for Europe to change its policy then.